It is a privilege to welcome Tony-nominated performer Rory O’Malley to Jake’s Take. The actor-singer made his Broadway debut in The 25th Annual Putnam County Spelling Bee as Leaf Coneybear before joining the original company of The Book of Mormon. His portrayal of the openly closeted Mormon Elder McKinley earned him a nomination for a Tony Award and a Drama Desk Award. 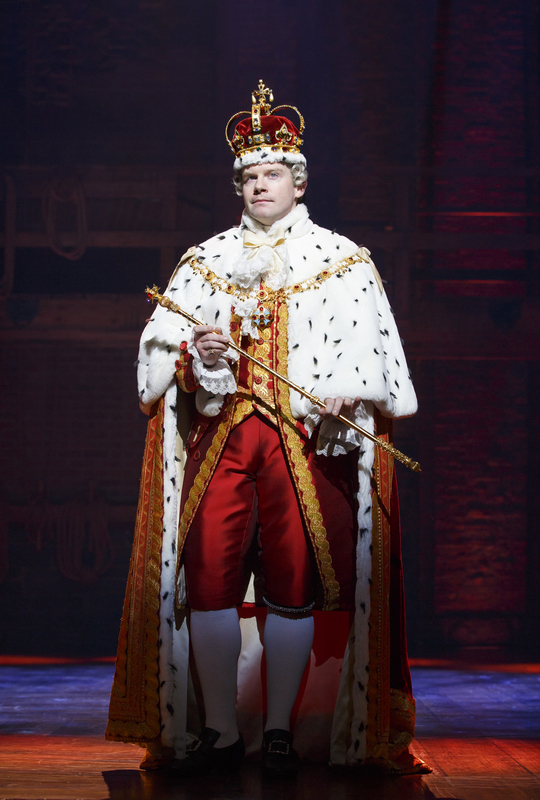 Mr. O’Malley was also the second King George III for another blockbuster musical: Hamilton. After ruling Broadway for a year, Rory O’Malley is currently reprising his royal role in the show’s Los Angeles production at the Hollywood Pantages Theater. In addition to his Broadway credits, Rory O’Malley has also appeared in several off-Broadway productions including Second Stage’s Nobody Loves You and Little Miss Sunshine. He also debuted his autobiographical show, Pub Crawl, in 2014 to a sold-out crowd at New York City’s Joe’s Pub. The show, which received high praise from Entertainment Weekly and Playbill, focused on how Rory’s single mother and all the bar’s eccentric patrons raised him. 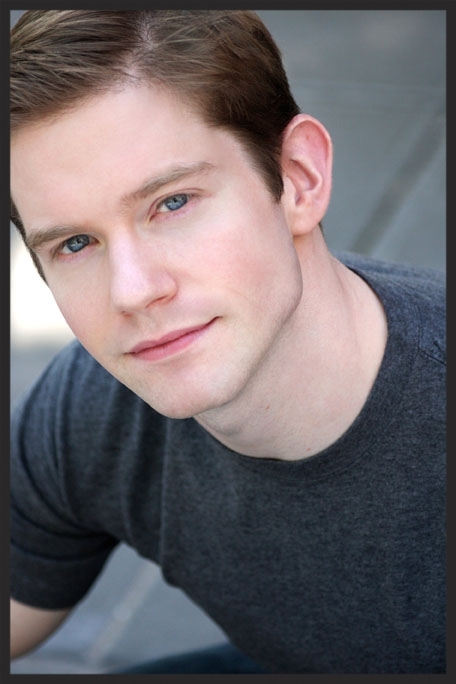 Outside of the theatre world, Mr. O’Malley also appeared on several television shows including the CW’s Crazy Ex-Girlfriend, FX’s Partners, Nurse Jackie, The Good Wife, Law and Order: SVU, and 1600 Penn. Outside of the worlds of stage and screen, his podcast, Living the Dream with Rory O’Malley, will celebrate its one year anniversary this month. Several of his friends such as Josh Gad, Gavin Creel, Stephanie J. Block, and the legendary Joel Gray have shared their stories about breaking through into the entertainment industry while staying happy and grounded. In this edition of A Conversation, Rory O’Malley opened up about the similarities and differences between three of his biggest Broadway characters, revealed why he joined the Los Angeles Hamilton cast and shared the reason why he started Living the Dream podcast. Jacob Elyachar: When did you first catch the acting bug? Did you ever imagine that your journey would take you to performing in three different Broadway blockbusters? Rory O’Malley: My first role was Saint Joseph in The Christmas Pageant at Our Lady of Angels Grade School in Cleveland, Ohio. My aunt was the director of the production. While it was my first time learning the lesson of “it is all about who you know,” I realized that at the moment that I first walked across the stage as Saint Joseph, was what I wanted to do for the rest of my life. I told my mom and my family, and I started working towards becoming an actor. While I did not know what a professional actor did, I just knew at that point was to show up to a theatre. It is wild to me that I have been a part of these incredible shows that are cultural phenomena in their own way. It is beyond my wildest dreams that I could ever imagine. The excitement that I have going to Hamilton and The Book of Mormon is the same enthusiasm that I did performing on the Our Lady of Angels stage as Saint Joseph. JE: Three characters that theatre lovers recognize you the most for are The 25th Annual Putnam County Spelling Bee’s Leaf Coneybear, The Book of Mormon’s Elder McKinley, and Hamilton’s King George III. What are some of the biggest similarities and differences between these three characters? JE: Currently, you are in Los Angeles with the Hamilton touring company as you reprise the role of King George III. What were some of the reasons why you wanted to reprise the role in Los Angeles? ROM: After I had my last day on Broadway, I went straight to the first rehearsal with the Hamilton touring company. I decided to join the west coast company because I wanted to return to Los Angeles. Both my husband (Gerold Schroder) and I were living in the city when the call came for me to join Hamilton. He has been incredibly supportive throughout this whole process. While he was working at his job in Los Angeles, I was performing in New York. Instead of staying with the Broadway company for an extended period and having to be away from him, it would be a lot easier for me to join the company in San Francisco and Los Angeles for five months. Thankfully, both of us were able to keep our wonderful jobs. I was also happy to have the opportunity to perform in Los Angeles, which is a theatre town in my opinion. It is where I got my Equity Card, and I moved to LA after I graduated from Carnegie Mellon University. I made my dues in LA by waiting tables and doing various odd jobs. I also have amazing friends in Los Angeles, and I am very excited to show them this excellent production. JE: Let’s talk about Hamilton’s opening night in Los Angeles. A lot of entertainment news websites praised the production and numerous celebrities including the show’s creator, Lin-Manuel Miranda, were in attendance. What did it mean to you and the cast when the LA community gave Hamilton its stamp of approval? ROM: I think everyone in the company was so excited to be embraced by both the Los Angeles and Hollywood communities. It was a thrilling night and to have Lin there was a treat. I had the opportunity to work with Lin in Hamilton during his final months on Broadway. It was such a privilege to get to know him better and to watch him work as an actor. I have carried that experience with me as I perform his writing nightly. It meant a lot to the entire cast that Lin came and watched us perform in the audience. The whole night was a dream come true, and we are so thrilled that the city gave us a wonderful welcome! JE: In addition to your work with Hamilton, you host the Living the Dream podcast, where you and your fellow performers have honest conversations about working in the entertainment industry. When did you first get the idea to start this frank podcast? ROM: It has been a total joy doing the Living the Dream podcast. I am very excited that people seem to be enjoying it and getting something out of the podcast. I am just so thrilled about it. It all started when I was on Twitter one day. As an actor, you are always putting out 140 characters or an image about the happy moments of working. But, I honestly felt that I had the responsibility of having a long conversation about “living the dream’ and the everyday activities that surround that life. While I was talking to people about the idea of the podcast, Hamilton came along. Suddenly, I found myself in New York City, away from my husband and had to make all of these important decisions. Part of “living the dream” and pursuing it is making painful sacrifices. Being away from my husband was a huge sacrifice, and for ten months, we had a long-distance relationship. At that point, I thought that it was the right time to start the podcast. I wanted to have long conversations with my friends who were actors in the business who have such a unique perspective on what it takes to pursue your dream. I think what surprised me was a lot of the podcast’s listeners are not actors or even in the entertainment industry, there are some people are pursuing their dreams or who are interested in getting started in the arts or their respective career fields. By having the listeners hear about the work and sacrifice that actors have done to live their dream has inspired them to pursue their goals. JE: This month marks Living the Dream’s one year anniversary. What have been some of your favorite moments from your first year? JE: Who are some of your dream guests that you want to interview for your podcast? ROM: I am a huge, huge Audra (McDonald) fan! She is a massive hero of mine. I admire not only her incredible talent but who she is as a person. She is the artist who is living the life that I want to live. Another person that I would love to interview is Laura Dern. She primarily does TV and film, but I am a big admirer of her work. JE: If you had the chance to meet with aspiring performers who want to work on Broadway, what advice would you share with them? ROM: My number one advice for anyone who intends to get into the entertainment industry is do it because you love it! Do it because it will make you happy even if you are waiting on tables. Also, do it because you will enjoy the journey. Do not enter the industry if you are hoping to have incredible success or doing another profession. I would also advise them: “Just to chill out and calm down.” There were a lot of times in the early stages of my career that I could have taken it easy and be present in the moment. I have worked hard over the last ten years to enjoy the journey of my career. Wherever you are doing a show at a community theater and not getting a dime or in an award-winning film, you can enjoy in the same way. Just enjoy any arch that you get to be a part of, and if it brings you to another great moment where you get to do another play or film, that is fantastic! Just enjoy the ride. You can follow Rory’s adventures on social media! Visit his Instagram & Twitter channels. To download the Living the Dream podcast, head to either Google Play, iTunes, and Podbean.